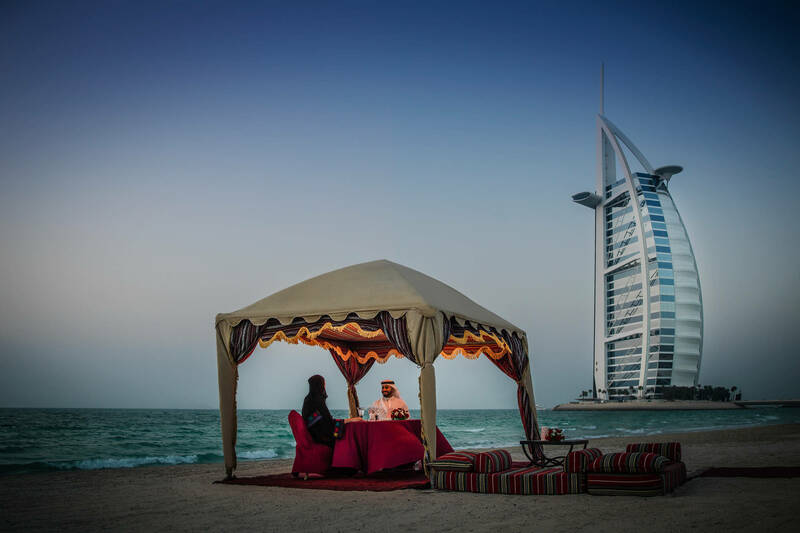 Dubai, UAE – January 30, 2017: From an abra ride on the delicately lit waterways, to private dining on the shores of the Arabian Gulf, to a proposal on the world’s most famous helipad, Jumeirah has provided the perfect setting for thousands of romantic moments over the years. This February they will create many more including giving four people the chance to create a magical, one-of-a-kind experience to surprise their partner. It might be that you don’t have the time, it might be that you don’t have the words, but sometimes we can all forget to tell our partners why we picked them and what it was that made them stand out from the crowd. Leave it to Jumeirah this Valentine’s Day to create the perfect setting for you to show your partner how much you love them. Are you celebrating an anniversary, planning the perfect first date or even looking for the perfect location to get down on one knee? As part of their celebration of Valentine’s season Jumeirah will give four people the chance to show their partner just how much they love them by creating the ultimate romantic moment. The stage has been set and all you need to do to be in with a chance of winning is tell Jumeirah in no more than 100 words why you want to surprise your partner this Valentine’s Day. Send an email to maketheirday@jumeirah.com by Sunday 5 February. In addition to these unique experiences, there are plenty of romantic options to surprise your loved ones at a number of stunning venues across Jumeirah. More information available here: jumeirah.com/valentine.